When it comes to buying a car, the wheels are a big deal. 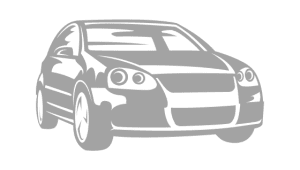 A car can behave differently on different surfaces, depending on whether it’s equipped with all-wheel drive (AWD), four-wheel drive (4WD), front-wheel drive (FWD) or rear-wheel drive (RWD). These days, AWD is a standard feature or option on many cars, crossovers, minivans and wagons. As its name suggests, an AWD system shifts power to all four wheels (or just certain wheels) to help manage traction. Enables your vehicle to perform well year-round on wet or dry roads, ensuring the tires grip the road. Does it job automatically, without a driver needing to push a button or pull a lever. Which drive is right for you? However, AWD isn’t ideal for off-roading; that’s where 4WD shines. In addition, AWD can bump up the cost of a vehicle by a few thousand dollars and can add weight, dragging down gas mileage and performance. Meanwhile, FWD is a cheaper cousin of AWD, offering a lower cost but delivering pretty good traction. FWD sends engine power to the front wheels. As for RWD, engine power goes to the rear wheels, and it’s commonly found on police cars and taxis. RWD vehicles are known for their ability to take a beating and keep on rolling, as well as their better balance and better handling. However, it’s not a champ when it comes to traction. Given the options, AWD might be the best pick for you if you’re seeking great year-round traction but aren’t planning to go off-roading. 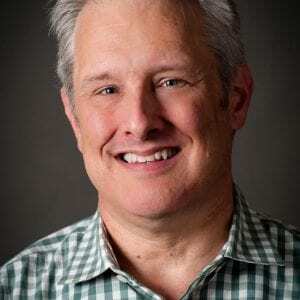 Here, we’re going to introduce you to 12 AWD vehicles — sedans to SUVs to luxury cars — from the 2019 model year that collectively earn high ratings from Kelley Blue Book (KBB) experts, consumers on Edmunds as well as the National Highway Traffic Safety Administration (NHTSA) and/or Insurance Institute for Highway Safety (IIHS). For the consumer ratings, we’re also noting how many reviews have been posted at time of publication; scores are up to date at time of publishing. We’ve grouped cars into three categories based on MSRP — up to $25,000, $25,000 to $40,000, and above $40,000. 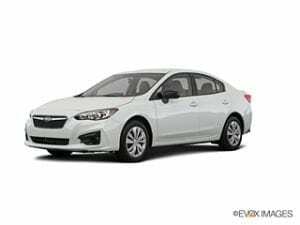 The Subaru Impreza, available as a sedan or hatchback, comes in eight trim packages, all of which are equipped with AWD as a standard feature. For this list, we focused on the base 2.0i Sedan. Among the key features of the 2.0i Sedan are Apple CarPlay and a rear-vision camera. Step up to the 2.0i Premium Sedan, and standard extras include 16-inch alloy wheels, 4G LTE Wi-Fi capability and heated front seats. At the top end is the 2.0i Sport 5-door, whose amenities include 18-inch alloy wheels, a leather-wrapped steering wheel and shifter handle, and body-color rocker spoilers. This subcompact crossover offers four trim packages, plus an all-electric model, out in early 2019. For the purposes of this list, we zeroed in on the base SE model, whose features include forward-collision-avoidance assistance, lane-changing and lane-keeping assistance and a driver-attention warning setup. When you graduate to the Ultimate package, the highest trim available, the extras include a 175-hp, 1.6L turbo GDI engine, an 8-inch LCD navigation touchscreen, a wireless device charger and a heads-up display. With the good comes the bad, though, as the Kona’s downfalls include a weak base engine and a plastic-heavy interior. 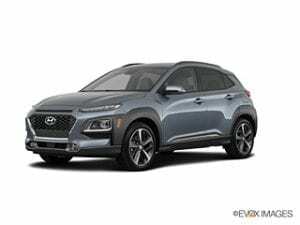 Keep in mind that adding AWD to the Kona tacks on $1,400 to the MSRP. For this crossover SUV, AWD comes as an option on the Sport, Touring and Grand Touring trim packages, but comes standard with the Grand Touring Reserve and Signature packages. As an option, AWD brings up the price by $1,400. For purposes of this story, we looked at the base Sport model. Among the noteworthy features of the CX-5 are an upscale cabin, a well-reviewed driving experience, Apple CarPlay and Android Auto smartphone integration, and a better-than-you-might-expect combined MPG of 28. However, its rear legroom and cargo room are less impressive than they are for some of its competitors, and the ride is a bit stiff. If you feel the need for speed, this sporty Subaru sedan might be the car for you. It supplies speedy acceleration, putting it among the top in its class in that category. The handling and steering also are top-notch. On the negative side, the WRX’s ride can be rough and noisy, and critics complain that the interior isn’t on par with its rivals. 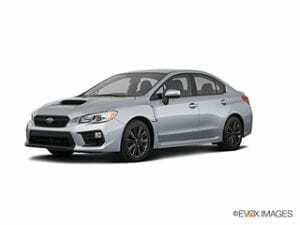 Subaru sells five trim packages for the WRX, but we concentrated on the base model for this rating, which like other Subarus, comes with standard AWD. 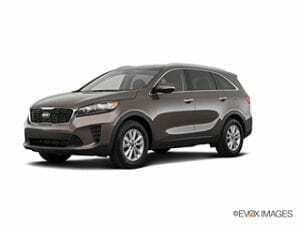 The Kia Sorento might be a tad smaller than its rival SUVs, but the starting price also is lower. Some of the highlights of the Sorento are Apple CarPlay and Android Auto smartphone integration, a 10 year- or 100,000-mile powertrain warranty, a standard third row with total seating for seven and a premium audio system. The lowlights include a stingier amount of cargo space than other three-row models, as well as sluggish acceleration. While the Sorento delivers five trim packages, we focused on the LX model, since AWD is not available with the base L model. If you choose AWD as an option, it’ll set you back another $1,800. 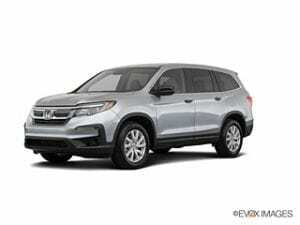 A relatively smooth ride and a roomy exterior are two of the pluses of the eight-seat Honda Pilot SUV. Also worth mentioning are the now-standard Honda Sensing suite of advanced safety features for all trims, better fuel economy than its competitors and an array of storage compartments. The minuses include tight access to the third row and excessively-sensitive collision-warning and adaptive-cruise-control systems. AWD is an option for the first four trim levels, at an added price of $1,900; AWD is standard with the top-of-the-line Elite package. For this rating, we spotlighted the basic LX trim. A spacious cabin and cargo space, a well-appointed cabin, and solid steering and handling are just some of the hallmarks of the all-new RDX. However, Honda doesn’t give you much freedom when it comes to selecting options for this crossover SUV — they’re mostly bundled as a package, rather than being available a la carte. The RDX provides four trim levels; we based our rating on the standard level with the added all-wheel drive. For the standard trim package, features include a multiview rear camera, a power tailgate and Apple CarPlay integration. 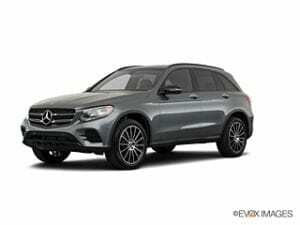 The Mercedes-Benz GLC is blessed with a number of bells and whistles, such as heated front seats, a regular (household-style) power outlet and an optional off-roading package. Overall, comfort, performance and design differentiate this SUV from its luxury counterparts, although critics say the tech interface is somewhat user-unfriendly. The GLC has three trim models; in compiling our rating, we stuck with the basic GLC 300 model with standard AWD. When you stack it up against its luxury competitors, the Genesis G80 compares well on price, as well as roominess, power and performance. In addition, the 2019 model features an updated infotainment system. Yet the ride trails behind some of its rivals, and the rear headroom isn’t too generous. The Genesis G80 offers three trim levels; for this rating, we stayed with the basic 3.8 trim level. Note: AWD costs an extra $2,500. The Lincoln Continental boasts ample legroom in the rear seat, a powerful V6 engine (optional) and a quiet cabin. Yet the quality of its interior and overall manufacturing are a notch or two behind its luxury competitors, and it fails to produce the best bang for the buck. The Lincoln Continental provides four trim levels, the base trim being our benchmark for this rating. AWD is available in all versions for about an additional $2,000 to the MSRP. The outstanding features of the BMW 5 series are numerous, such as Apple CarPlay, several engine options, a quiet and comfortable interior, and a big trunk. Yet where the BMW 5 series falls short is in its comparatively lackluster styling and its sometimes below-par interior materials. Among the four trim levels available with the BMW 5 series, we settled on the basic 530i for this rating. Every version, including the plug-in hybrid, is available with AWD, but tacks on $2,300 to the base 530i. While the luxury factor is on the same level as its competitors, the Genesis G90 comes with a lower price tag than some of its rivals. Among its strengths is a solid suspension system that makes even the bumpiest roads feel smooth. Despite that, though, the G90’s interior materials fall short of those provided by its competitors. Furthermore, it lacks either Apple CarPlay or Android Auto smartphone integration. Still, the G90 is chock-full of tech, including a high-quality Lexicon sound system. For this rating, we used the 5.0 Ultimate, as AWD is not available with the base 3.3T. Optional AWD is an extra $2,500. Here’s how we picked the 12 AWD cars in this list. First, we looked at ratings from KBB experts and consumers on Edmunds. If an AWD vehicle earned a rating of at least 3.8 out of 5, then it made the cut. For the consumer ratings, we’re also noting how many reviews have been posted at time of publication; scores are up to date at time of publishing. Secondly, we weighed safety ratings from NHTSA and IIHS. If a vehicle received a 5 out of 5 safety rating from NHTSA and/or a Top Safety Pick or Top Safety Pick+ rating from IIHS, we added it to our list. Simply put, a vehicle must meet higher safety standards to qualify for Top Safety Pick+ over Top Safety Pick. The MSRP’s for the referenced products are accurate as of the date of publishing, please check the manufacturer’s website for the most up to date information.